Insider transactions are usually worth looking at. Though insider purchases or sells do not always send clear “buy” or “sell” signals, it is always a good starting point to choose which stocks to be analyzed. In this article, we are going to take a closer look at a few insider purchases reported to SEC during the last week. We selected a few notable insider purchases with large dollar amounts purchased and large number of shares purchased. We also focused on stocks with relatively large market caps (above $1.5 billion) because these have enough liquidity to absorb sudden surges in demand. Valeant Pharmaceuticals International Inc (VRX): Insiders are showing a lot of interest in VRX recently. In an earlier article we published this week we mentioned that Valeant’s EVP and CFO Bradley Howard Schiller bought 9300 shares of VRX at $53.4717 per share on March 1 and another 9300 shares at $58.8107 a day later. Schiller purchased additional shares again on March 6, when he bought 9200 shares of VRX at $53.5276 per share. We were already bullish about VRX before the insider purchases were disclosed. Schiller’s purchases increased our conviction in the stock. Spectrum Brands Holdings Inc (SPB): This was the largest insider purchase in large-cap stocks reported to SEC at the end of last week. 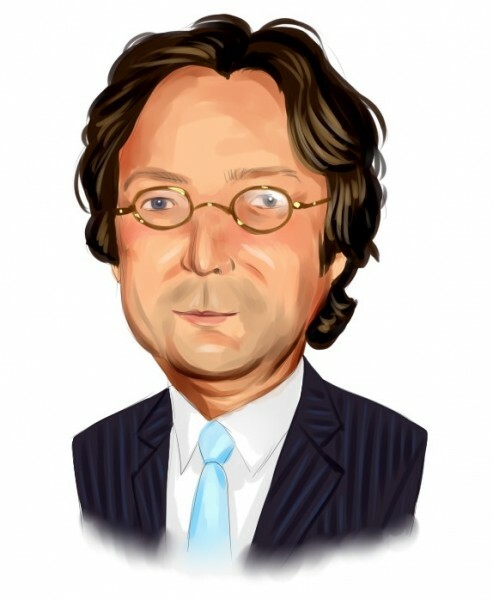 As a large shareholder of SPB, Phil Falcone’s Harbinger Capital Partners reported to purchase 249,900 shares of SPB at $29 per share on March 7. The stock is now trading at $29.37 per share, up 1.28% from the price it was purchased at. SPB was also the largest position in Harbinger’s 13F portfolio at the end of last year. The fund had $764 million invested in SPB as of December 31, 2011. The number should be over $800 million as Harbinger has been continuously purchasing this stock over the past few months. SPB’s management team has been adjusting the portfolio by modestly shifting from durables to consumables. For example, the company has acquired Black Flag and Furminator last year, which will improve the SPB’s margins. For the three months ending January 1, 2012, the company reported financial results in line with the analysts’ expectations. Its net income was $13.1 million in that period, versus a net loss of $19.8 million for the same period a year ago. SPB is expected to make $2.46 per share in 2012 and $2.88 per share in 2013. Over longer term, the company’s earnings are expected to grow at an average of about 10%. The forward P/E ratio of SPB is 11.9, a discount to the 16.41 for the average of its peers. We also see strong free cash flow generation ability of SPB. Its management team has an aggressive deleveraging plan. They reiterated their target gross debt to EBITDA to be less than 3.4X at the end of FY2012. Overall we like SPB. We think the company will outperform the market as well as its peers over the next couple of years. Stone Energy Corp (SGY): Another stock bought by insiders recently is SGY. Director Phyllis Taylor purchased 16700 shares of SGY at $29.9259 per share on March 7. SGY was closed at $31.72 per share on March 9. It returned about 5.7% in two days, beating the market by over 4 percentage points. There were also a few hedge funds bullish about this stock. As of December 31, 2011, fourteen hedge funds reported to own SGY in their 13F portfolios. For example, Israel Englander’s Millennium Management had $20 million invested in SGY. Jim Simons’ RenTech and Glenn Russell Dubin’s Highbridge Capital Management also invested more than $10 million in this stock. SGY posted strong results for the fourth quarter of 2011. Its revenues were up 29.2% compared with the same quarter last year, beating the industry average of 22.7%. The stronger-than-average revenue growth also helped boost the company’s earnings. SGY’s fourth-quarter net income increased by 91.6% to $45.52 million, largely exceeding the average of oil, gas & consumable fuels industry. SGY’s EPS was $3.97 for FY2011, versus only $1.98 for the prior year. Over the past few years, SGY demonstrated positive EPS growth and we expect that trend to continue. In 2012, the company is expected to make $4.14 per share. Therefore, SGY’s forward P/E ratio is 7.66, a significant discount to the industry average of 15.39. A few other stocks with insider purchases reported on March 8 or 9 include Nationstar Mortgage Holdings Inc (NSM), Natural Resource Partners LP (NRP), Arch Coal Inc (ACI), and Cedar Fair LP (FUN). Out of these four stocks Arch Coal is the most popular one among hedge funds. There were 23 hedge funds with bullish Arch Coal bets. Malcolm Fairbairn’s Ascend Capital and Ray Dalio’s Bridgewater had the two biggest positions in the stock. Arch Coal lost two thirds of its value over the last 52 weeks. This is not the first time Arch Coal’s insiders tried to catch this falling knife. Several Arch Coal insiders bought thousands of shares in August at around $19 per share. The stock lost almost 40% since then. We don’t recommend imitating insiders in this stock. The company’s fate is dependent on natural gas prices and Arch Coal’s insiders have no “inside information” about that. Insiders are optimistic about the stock for two reasons. First, they think the stock price already reflects the lowered expectations. Second, they will be cutting their production and this should put a floor on coal prices and support their profitability. We wouldn’t hurry to imitate insiders in this stock.